Cold Spray was a process originally developed for shaft coating applications, but also lends itself to reliable Additive Manufacturing techniques. The process uses solid powders that are accelerated in a gas to supersonic speeds around 1600-3500 feet/second. Upon impact with the substrate particles plastically deform and combine with the substrate as the tool is moved about the surface. Designed for processing harder alloys that require more energy for efficient plastic deformation. Designed for your high speed, harder alloy deposition needs. 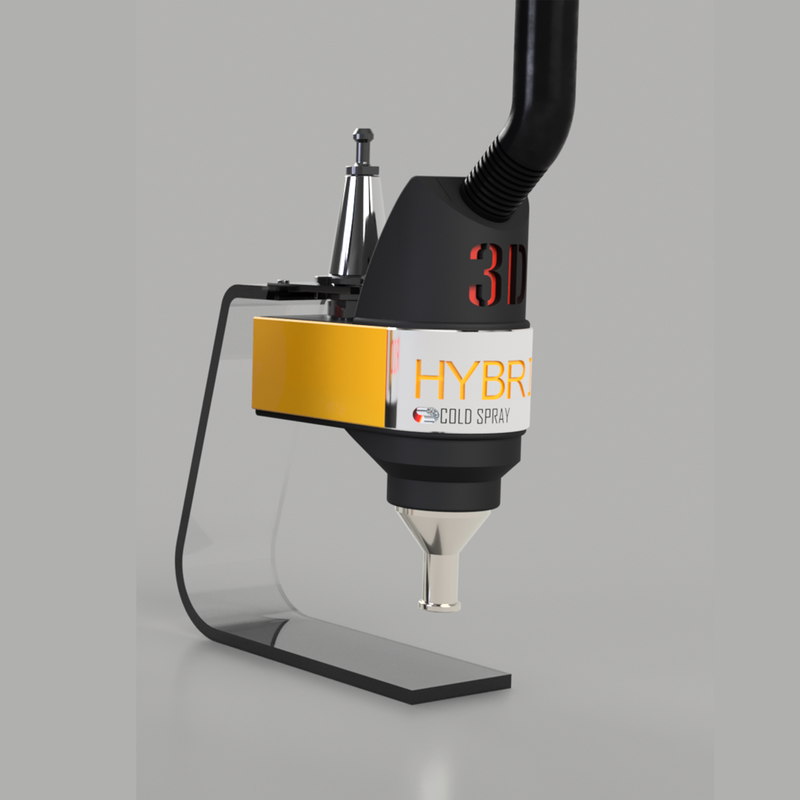 3D Hybrid's offers Laser assisted cold spray for applications where deposition speed and efficiency is critical.